Whether you want your bedding to explore relationships with shapes, colors or forms, our abstract pattern bedding selection has options for all tastes. When choosing your abstract design for your bedding choose the details that suit your style. 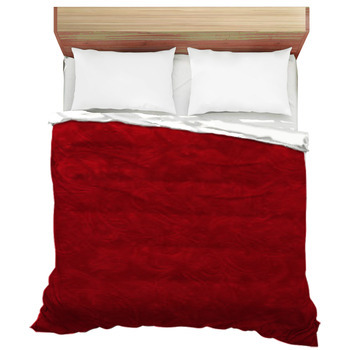 We offer the largest selection of abstract bedding sets with thousands and thousands of color and pattern choices. 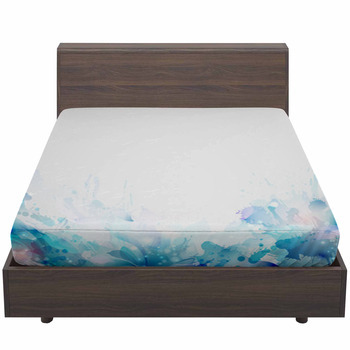 When choosing your design, you can personalize your abstract themed bedding by changing the colors or background colors to any color you desire. You might wonder what exactly is abstract bedding? Abstract design has been around for over 100 years as a tradition of creativity. Abstract styles are a form of visual art that peak your curiosity and imagination by creating something completely unique. In fact, creativity becomes endless when you personalize your own abstract bedroom bedding with exclusive colors and patterns. Make your bedroom come to life through your unique abstract expression. You choose the colors, shapes and forms that represent the style that is best for your space. Anything from geometric and linear forms to splashes of color can become your own symbolic or decorative abstract art form for your space. While the Abstract Edgy Angled Shapes Duvet is available in a range of tones and colors, it looks classy and modern in shades of gray. Gray is the trendy new neutral color in every shade, whether you choose the nearly white gray or the charcoal gray. Gray is a dynamic neutral and extremely versatile in decor, appearing cool in one instance and warm in another. Hues of gray welcome contrasting bold accents by acting as a counterbalance for other colors. This proactive neutral color works well in any bedroom by creating an attractive environment. Look at this site: https://www.youtube.com/watch?v=AWbgLIadSZc for gorgeous gray bedrooms with pops of color. 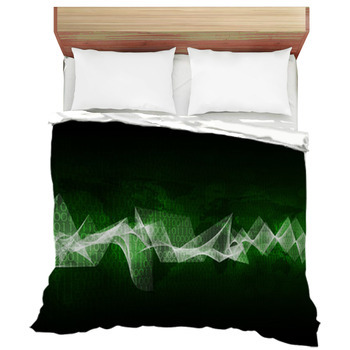 Maybe you need black and white abstract theme bedding in your space. Create a fabulous space by adding an impact with black and white abstract design. Always sophisticated and chic, black and white can be a pleasing contrast for a traditional bedroom or a break in a colorful room. Remember adding a little black and white abstract is not only a trend but also timeless. A dose of abstract adds a modern feeling to your space. 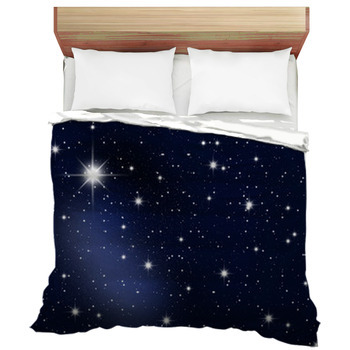 To add drama pull your space together with a custom abstract king size comforter. Our Abstract Color Banner design creates dimension and movement with shades of imperfect lines and brush strokes. Use this bed cover in a streamlined bedroom to contrast sharp edges and make an artistic statement. 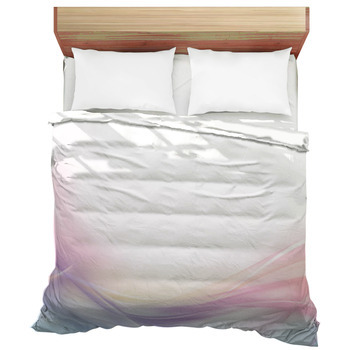 And choose any color to make this artsy comforter fit your own personality. 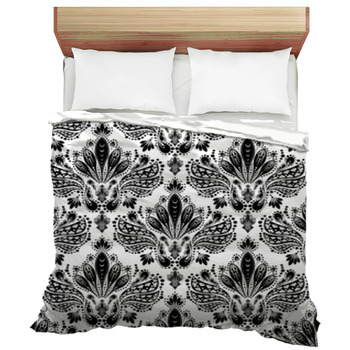 You may also want to consider our Decorative Seamless Floral Ornament Duvet Cover, which is striking enough to be left alone or adorned with throw pillows. In black and white this pattern lends itself to an abstract Bohemian look. 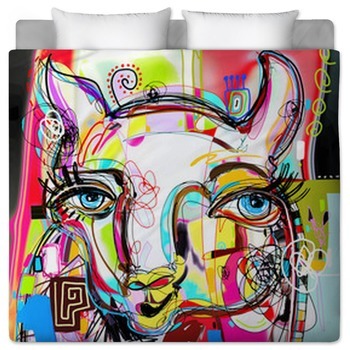 For a bold colorful look imagine this abstract duvet in a vivid red, teal or deep blue. 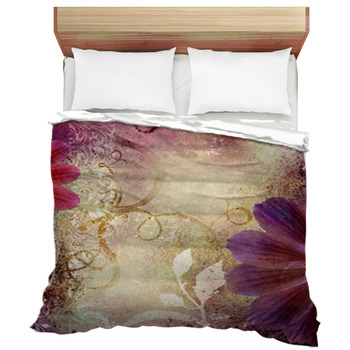 You can also go for an abstract floral, such as our Decorative Violet Floral Background bedspread, which will brighten up your bedroom with a fresh and pretty look. 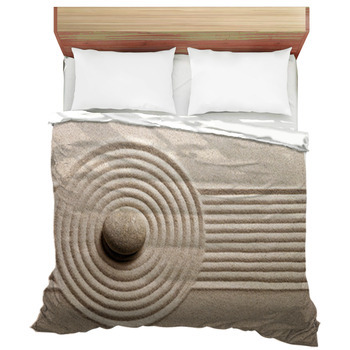 Another popular design is our Zen Garden Quilt. Not only will this add a touch of class to your bedroom, but it provides a minimalist look in a traditional setting. Check out our Collection Of Grunge Textures Elements Bed Sheet in full, single or double for teens and kids. 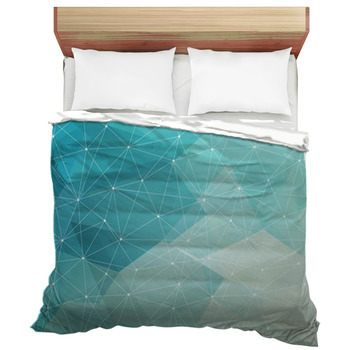 This fun element themed bedding features colorful abstract details. Finally, remember all of our abstract patterns, and colors can be mixed and matched to create a personalized touch. Our bed linens can be monogrammed or customized with photographic images. 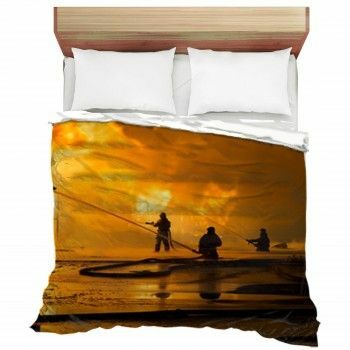 Use the art of photography to display action or 3d images on our photo real fabric for a one of a kind design. All the sets are available in all sizes, and you can purchase just a fitted sheet or top sheet or pillowcase if you want. If you need a queen size bedspread or a king size quilt for your master bedroom, twin size (bedsheets yes mispelled just like that) for your children, bed in a bag for girls and boys or twin xl abstract bed sheets for your college kid - we’ve got you covered with our unlimited selection of abstract bedding. You will be interested in looking at our innovative variety of throw pillows, rugs, abstract window curtains for your room to add character and personality. And finally, for a finishing touch choose a piece of our abstract wall art to pull your space together and complete your look.